The Chris Waller-trained Tumultuous has claimed successive Magic Million Trophies at the Gold Coast. 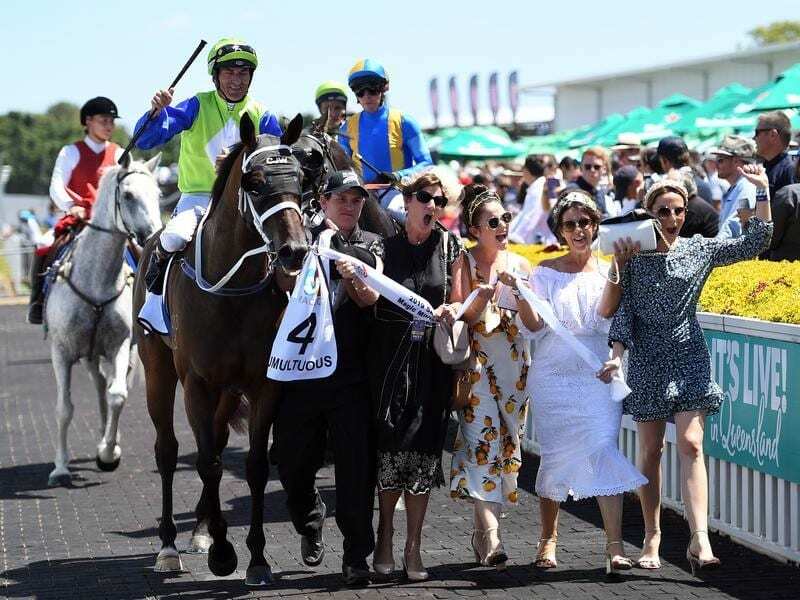 Leading trainer Chris Waller was talking about a three-peat only minutes after his stayer Tumultuous became the third horse to win back-to-back $1 million Magic Millions Trophies on Saturday. Tumultuous ($4.20) was too strong at the end of the 2200m beating Goodfella ($5) by a neck with a long neck to Black On Gold ($9) in third place. He followed Tinto (2014-15) and Drizzle (2007-08) to win consecutive Trophies. Waller said Tumultuous was the ideal horse for the Gold Coast race. “He won it last year and we set him to win it again right back then. So why wouldn’t we set it for the same race yet again,” Waller said. “One thing the pressure will be a lot less next time. He has won since but not done much and he is a summer horse. Tumultuous originally cost $350,000 but has more than repaid his owners headed by one of Waller’s biggest clients in Noel Greenhalgh. The gelding has now won $1.4 million with a large percentage on Millions day. Robbie Fradd produced a rail-hugging ride on Tumultuous. “We were able to get a great run from barrier one and the gap opened up on the turn,” he said.